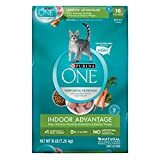 The best cat foods are meals kitties will actually eat and receive proper nutrition from. Cats will need to eat foods made heavily with protein. Many pet parents today are extra conscious of how and what they feed their fur babies. Indoor pet cats, especially, rely heavily on their owners to provide them with proper nutrition. Plenty of pets today deal with obesity, just like people do. While this is certainly a health concern, malnutrition and weight loss are also problems that pet parents should address. What is high-calorie cat food? High-calorie food for cats is especially designed to fatten up kitties by providing the right ratio of fat and protein. 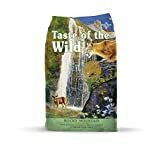 What animals need a high-calorie cat food? Just as obese cats face health problems, so too do underweight felines. Any animal can face malnutrition if they do not eat a proper diet. 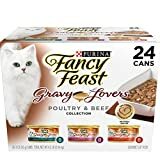 Cats need a diet full of protein and fats, and can suffer issues if not fed enough, or not fed products with enough meat-based ingredients in them. Underweight animals might benefit from this specialized diet. Senior cats might be at a greater risk of developing health problems, including weight loss or loss of muscle mass. While there is specialized senior cat food available, some pet parents opt for high-calorie cat food instead. Pet owners should also note, however, that some older felines are actually prone to becoming overweight, due to decreased activity levels. Kittens will also naturally need extra fuel to support their growing bodies. This fact explains why kitten food is often calorie dense. Some cats even suffer from anorexia, which leads to decreased food intake. Providing more palatable meal choices is a good way to combat this issue. Many cats enjoy chicken or turkey flavors. So, owners can either prep their own safe meal or buy a pre-made one at the pet shop. The delectable smell from these meaty ingredients might be enough to encourage even the pickiest eaters to, well, eat. Pet parents looking to feed their cat food for weight gain should first consult a veterinarian to ensure that their pet truly does need to put on weight. After consulting a vet, owners should research this type of cat food. Cats, like other animals, gain weight when their caloric intake exceeds how many calories they burn in a day. Foods with an optimal protein and fat balance can help felines bulk up. As such, owners should avoid products that are full of grains or filling by-products. These items can make a cat feel full without actually helping them put on healthy weight. 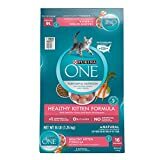 Grain-free cat food can help a cat gain weight if provides high-quality nutrition while cutting out useless fillers. Other good options for bulking up kitty are specially-labeled items that are calorie dense. Some canned foods, items low in carbs and high in protein, or with a higher fat content might help a pet put on a little weight. Dry cat food or canned cat food? Dry cat food is cheap and readily available. This makes it an easy option for plenty of pet parents. 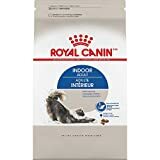 However, many dry food products use grain fillers, which is ultimately unhelpful for any cat, not just the underweight ones. Those looking into this type of food should remember that cats need plenty of meat-based protein in their diet. Fortunately, there is grain-free dry food available that can help a cat gain weight, if used correctly. Wet cat food is a good option here because it can have a long shelf life (when unopened). Wet food is also usually higher in calories, and many cats find canned meals more palatable. However, canned food is oftentimes more expensive. Just like people, cats also have specific health and dietary needs. While many pet parents today have to worry about putting their obese fur babies on a low-calorie diet plan, others have to worry about helping kitty put on a little healthy weight. Any pet parent should first consult a vet before changing their cat's feeding schedule and dietary habits. 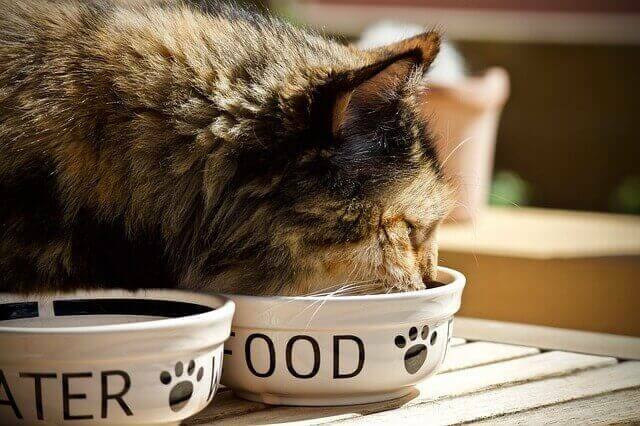 After talking to a vet, some pet parents might decide that calorie-dense cat food is the right option for helping their pet achieve an optimal weight. The best cat food for weight gain is ultimately up to the animal herself. Some cats have a preference for dry or wet canned food, while others might only eat certain flavors. Owners must trust in their ability to know their cats' preferences to help their felines get well.